The High-level Conference on European Standardization – Standards Advance and Deepen the Single Market. The conference is hosted under the Romanian Presidency of the European Council and by the Romanian Ministry of Economy and the National Standards Body – ASRO, with the attendance of the Minister of Economy of Romania, Mr Niculae Bădălău and European Commissioner for Internal Market, Industry, Entrepreneurship and SMEs, Mrs Elżbieta Bieńkowska. 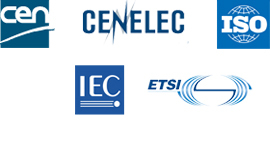 The conference will bring together a large number of high-level representatives of the standardization community, industry as well as both EU co-legislators and other European standardization stakeholders. 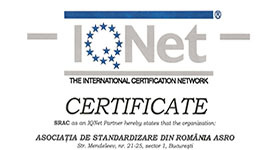 Standardization is an important subject on the agenda of the Romanian Presidency, which has adopted as its motto Cohesion, a common European value. By enabling all stakeholders of the European community to share common expectations, and by giving a practical and adaptable underpinning to public policy and regulation, standardization is a fundamental tool for making this aspiration a reality. 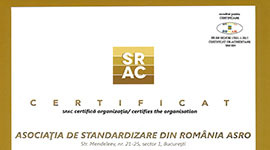 In order to attend the conference, you are kindly asked to register at standardsconnectmarkets@asro.ro and to proceed for the accreditation process no later than 21 May 2019.